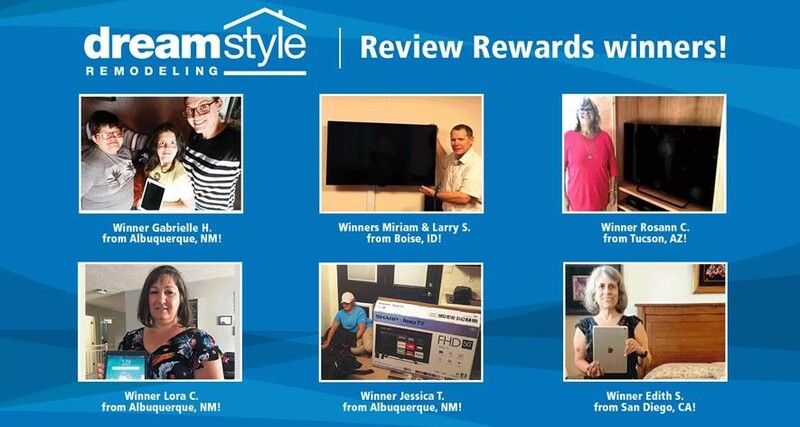 Thank you for being a customer of Dreamstyle Remodeling. We sincerely appreciate your business and hope we exceeded your expectations. If we did not, please contact our Customer Relations Manager, Annie Chavez, at 1-844-313-0920 or AChavez@rbanm.com. Enter your information and the sites/dates on which you reviewed, and you’ll earn one entry per review into our prize drawing. That means you can have up to three entries in the drawing – great odds! Congratulations, you’ve been entered to win great prizes. The winner can choose between a 50″ HDTV, an iPad, or a $500 donation to the charity of their choosing.